shopspaViolet is Serious Skin Care, Serious Fun: What is Folate? Folate is the natural source of vitamin B9 and when taken orally as a supplement is known as folic acid. Folate is found in most leafy green vegetable , dried beans and peas and as an additive in foods such as bread, grains and breakfast cereals. Folic acid is an extremely important vitamin that is taken by pregnant, nursing or women planning on becoming pregnant. Folate assists the production and rapid division of new cells, makes both DNA and RNA, can reduce some forms of anemia and is linked to cancer prevention. Medical researchers believe that too little folate may be causal in certain cancers, namely in this article's focus breast cancer. Folate may also help with the destruction of good cells caused from methotrexanate, which is taken in high doses to kill cancer cells. There are many instances that negate or increase the need for folate , most notably alcohol consumption. While attending a breast cancer seminar Dr. John West of the Be Aware Foundation ( beawarefoundation.org ) spoke about the link of alcohol consumption and breast cancer. Alcohol will increase the level of a women's estrogen which is a risk to having breast cancer and is definitely contraindicated to those with breast cancer. Alcohol will block DNA production and synthesis. Not good. 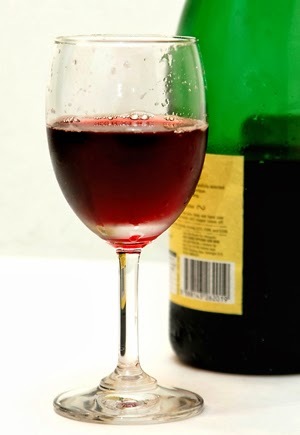 Many breast cancer survivors , women in the thick of breast cancer and those prone to breast cancer ( from what I have been told ) often find wine to be a treat and a pleasure. Now this is not an advocacy of over consumption of anything ( even Chardonnay ) ,but if one would to choose to have a sip here or there ( or nightly ) it might be prudent to take it with the recommended amount of .4 milligrams of folic acid.